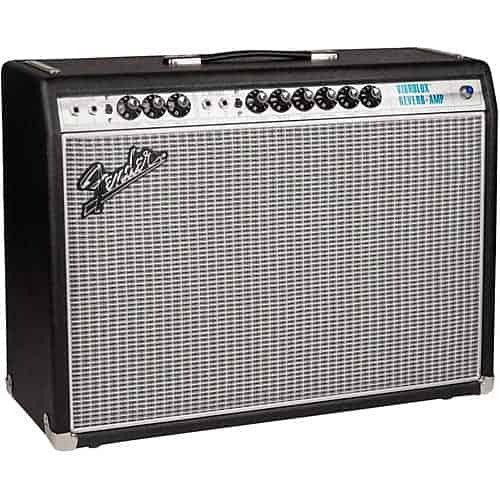 1968 was a transitional year for Fender amps, with tone that was still pure Fender, but a look that was brand new. 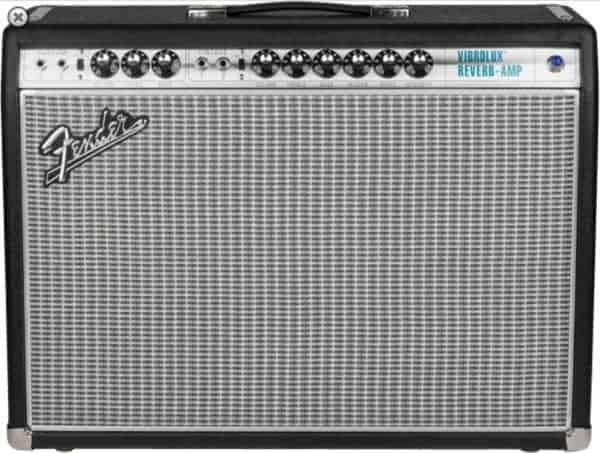 With a silver-and-turquoise front panel and classy aluminum “drip edge” grille cloth trim, the Vibrolux Reverb received a fresh new face as it remained the compact, gig-ready amp of choice for pros and amateurs everywhere. 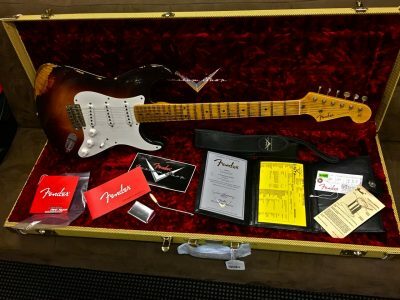 The 1968 Vibrolux Reverb featured a unique 2×10 speaker configuration, which delivered snappy twang and big tube tone, while still incorporating world-class Fender reverb and vibrato effects. 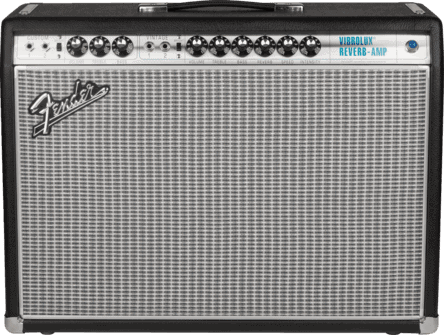 For countless guitarists ever since, the Vibrolux Reverb has been the go-to amp for classic Fender tone. The ’68 Custom Vibrolux Reverb Amp pays tribute to the classic look, sound and performance of Fender’s late-’60s “silver-face” amps. 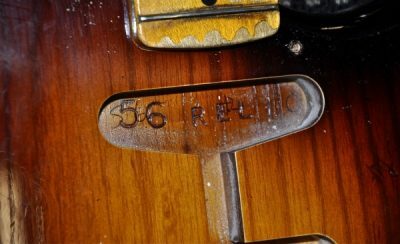 In a special twist, both channels boast reverb and tremolo, and the “custom” channel has a modified Bassman® tone stack that gives modern players greater tonal flexibility with pedals. The amp also features quicker gain onset and reduced negative feedback for greater touch sensitivity. 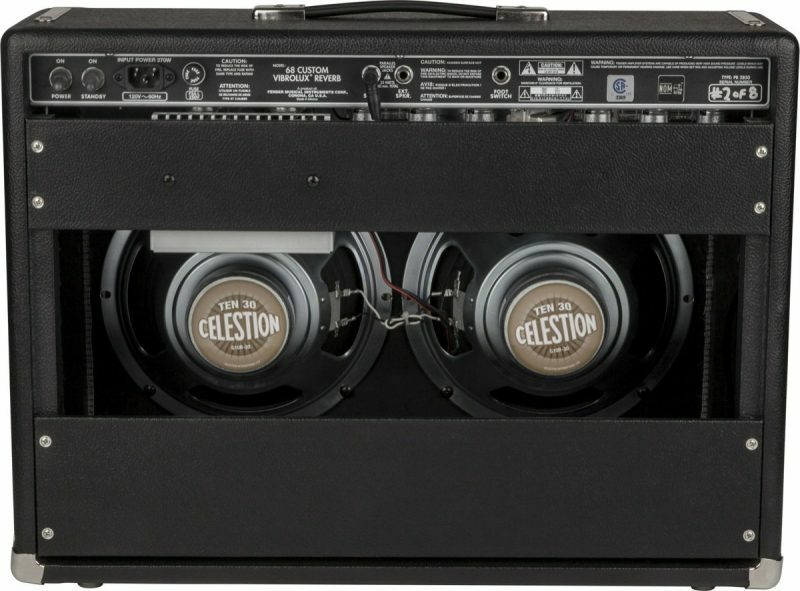 While fitting a sweet spot between the Deluxe Reverb and Twin Reverb, in respect to power and size, the ’68 Custom Vibrolux Reverb’s dual 10″ Celestion® TEN 30 configuration and 35 watts of all-tube power deliver distinctive rock ‘n’ roll flavor. Modified all-tube circuitry, “Vintage” channel for traditional Silverface™ tonality, modified “Custom” channel with Bassman® tone stack, reduced negative feedback for greater touch sensitivity, hand-wired tube sockets, custom-made Schumacher transformers (like the originals), genuine Fender tube-driven spring reverb, genuine Fender tube-driven tremolo (“vibrato”), 1968-style Silverface aluminum trim around silver-turquoise grille cloth, five-year warranty (U.S. and Canada; other territories may vary).